When AfriForum appeared on the scene a little more than a decade ago the organisation was an interesting new addition to the political environment. Born out of the trade union Solidarity it attempted to involve itself in social issues broader than the mere labour matters with which its mother body was involved in and was particularly active in polemics around name changes and language rights. It styled itself as a "civil rights movement" resisting the encroachment of the state on individual rights and as the champion of Afrikaners who felt victimised and marginalised by an ANC government that sought to punish rather than reconcile. But latterly it has emerged as the unapologetic emissary of an emerging form of Afrikaner nationalism, antagonistic towards the post-1994 project, dismissive of efforts to seek middle-ground and opting for confrontation as a method of advancing its cause. To understand its nationalistic views it is helpful to trace its lineage through Solidarity and back to the Mynwerkersunie (MWU), the old whites only mineworkers' union, of which a study by Stellenbosch University academic Wessel Visser provides a fascinating insight. The MWU was established in the aftermath of the Anglo Boer War and was initially known as the Transvaal Miners' Association. Its purpose after its name change to the MWU in 1913 was to protect and advance the rights of unskilled Afrikaners, who flocked to the Rand after the destruction of the war. It was an exclusive white union, a principle that remained entrenched in its constitution until 1994. During the late 1970s and 1980s the MWU was at the forefront to protect the rights of white workers, who it believed would be swamped by the oversupply of black labour in the wake of the Wiehahn Commission's findings that recommended an end to job reservation and the recognition of black trade unions. Historically the union retained close ties to the National Party (NP), but the Wiehahn Commission led to a fundamental break between the two organisations and the MWU shifted its support to the Herstigte Nasionale Party (HNP), the racist party of Albert Hertzog and Jaap Marais, who believed in Afrikaner supremacy and baasskap, according to Visser. When it became clear that the HNP did not have enough support to advance the MWU's political aims, it again shifted its loyalty, this time to Andries Treurnicht's Conservative Party (CP), established in 1982 because of frustration with PW Botha and his "liberal" attempts at political reform. In the 1980s and early 1990s the MWU actively opposed political reforms, opposing the ending of job reservation in the mining industry in 1987 and sharing platforms in opposition to the "yes" vote in the 1992 referendum with the CP, HNP and Eugène Terre'Blanche's AWB, the Afrikaner neo-Nazi group. The MWU stagnated in the first years after democracy, trying to figure out its place in the non-racial reality of the new South Africa, with a siege mentality seemingly taking hold of its leadership and members. Even its own members believed it had "an AWB image problem". (According to Visser the MWU's newsletters reflected a people encircled by unholy, communist forces and a black government, preparing for a modern-day Battle of Blood River.) When Flip Buys was appointed general-secretary he led a renewal of the organisation, culminating in the name change to Solidarity in 2003 and amending the union's constitution to open it up to all races. But it seemingly carried forward its political genes into the new union and eventually passed them on to AfriForum, the organisation that has now opted to champion the cause of HF Verwoerd, forced removals and apartheid. 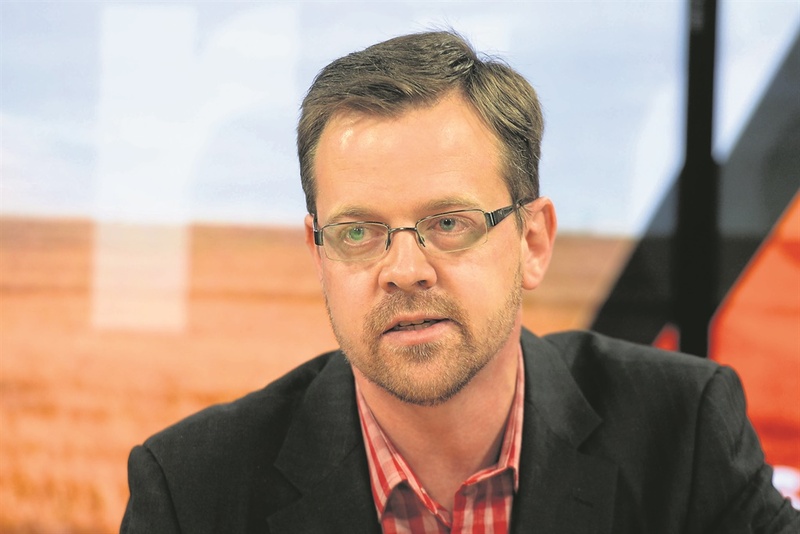 AfriForum's latest foray into the national debate came in the form of its deputy leader Ernst Roets' "documentary" called "Disrupted Land". Marketed as an effort to contribute to the dialogue around land reform, it rather opts to paint Verwoerd, the apartheid premier, as the misunderstood and benevolent visionary. In a cringeworthy couple of minutes, with soft background music, the viewer is told of Verwoerd's vision of a Europe in southern Africa before segueing into the narrator's version of forced removals, which "an investigation" has found wasn't altogether how history has recorded it. In fact, the narrator says, the apartheid government couldn't just remove people, it had to comply with a whole host of regulations before it could do so. Defenders of the documentary, that has gone straight to YouTube, also makes a meal of the so-called variety of views on the land question, which they say is evidence of AfriForum's attempts to make a balanced documentary. Roets, the producer (and scriptwriter? ), thought it best to have Black First Land First, a fringe and anarchic group with no demonstrable levels of support, articulate the case in favour of expropriation. He however did not deem it fit to speak to the main actors in the national debate, like the ANC, AgriSA, the presidential advisory panel on land reform, a constitutional law expert or even MPs sitting on the constitutional review committee. AfriForum's falling out with the Institute of Race Relations and stinging criticism of it by Corné Mulder, the Freedom Front Plus MP, shows to what extent there is unease about its ethno-nationalistic views, even among conservatives. Led by Roets, it has sought to hook up with the global nationalist movement, reaching out to North American and Australian race merchants and taking up causes that there really shouldn't be any debate about – apartheid and racism. And that's their blind-spot: Verwoerd, apartheid and race. They'll nominally, grudgingly, say apartheid was bad and Verwoerd possibly bad too. But they will never be able to drag themselves into the 21st century by condemning it and moving on. When AfriForum talks about Verwoerd, apartheid and race there will always be qualification, a "but" or a "what about..."
But, given the MWU's past support of the NP, CP, HNP, its policies and leaders like Verwoerd, how could its successor organisations be anything different? - Du Toit is News24 assistant-editor for in-depth news.